The landlady of The Hobbit pub in Portswood is raising money to help pay legal fees as wrangling over the small print of a deal made over copyright with Hollywood’s Saul Zaentz Company (SZC) continues. A letter from SZC in March had asked the pub to remove all JRR Tolkien branding. 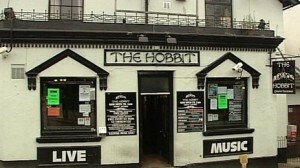 The company later agreed to license Tolkien brands in order to resolve the dispute over the pub’s name.